BattleTech is an incredibly complex game with a near-dizzying level of strategy and customization. It’s overwhelming to say the least, especially when jumping into your first few missions. And while the game does a pretty poor job at explaining everything, there are some tutorials available to the player when they reach the mercenary ship portion of the game. This particular section is a shotgun blast of systems, stats and information, one which takes a good while to get used to. To help you get over the learning hump quicker, head over to the COMMAND CENTER section of the ship. You’ll want to chat with Darius, as most of the tutorial information is available in his dialogue options. He’ll give you info on contracts, MechWarriors, finances, and events. 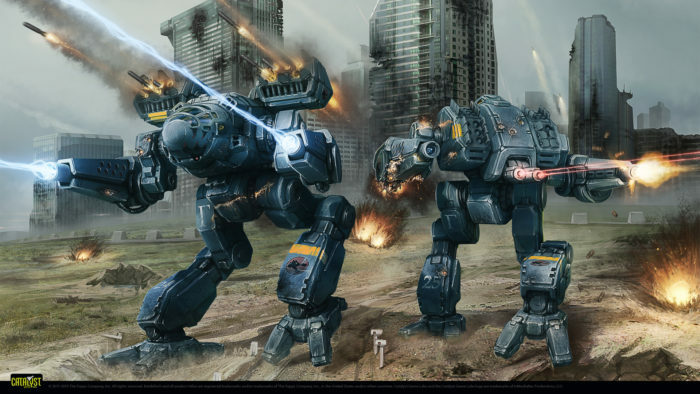 If you need more information on the BattleMechs themselves, head over to the Mech Bay and chat with Yang. He’ll give you tips on customizing your mechs, as well as advice on how to repair them. On top of the tutorial options, be sure to read and listen to every piece of lore and narrative that you can as there is a lot to be gleaned from the way the characters refer to the world around them.